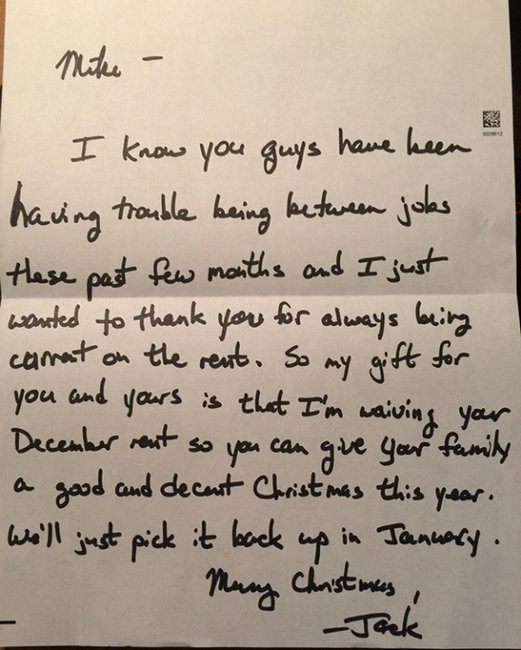 Legendary landlord gives the perfect Christmas gift. It really is a Christmas miracle. If this story doesn’t make you believe in the goodness of the silly season, then nothing will. 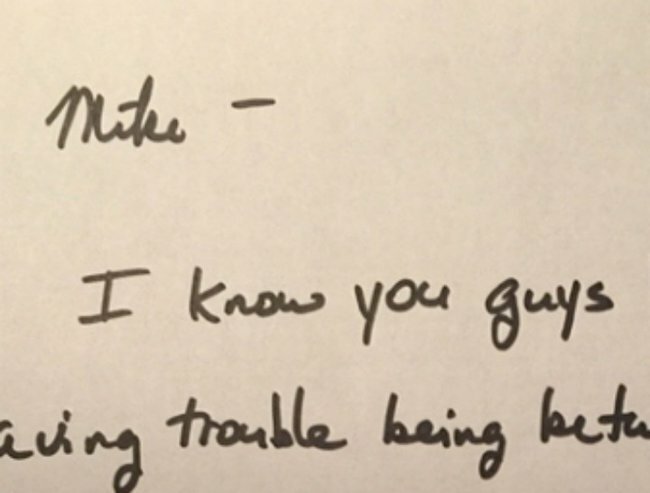 A man known only as ‘Mike’ posted the note he received from his landlord, ‘Jack’, in the lead up to Christmas in a gesture nothing short of miraculous. “I know you guys have been having trouble being between jobs these past few months and I just wanted to thank you for always being current on the rent. “So my gift for you and yours is that I’m waiving your December rent so you can give your family a good and decent Christmas this year. The Daily Mail reports the image was initially posted to Imgur and the man wrote in a Reddit thread that has since been deleted that the children who lived with him were his late sister’s. ‘The kids are my sister’s. We took her kids in after she passed away in October,” he wrote before deleting his account. It seems the spirit of Christmas and relentlessness of trolls alike are well and truly alive. If you want to spread the Christmas cheer, you can donate to The Smith Family’s Christmas Appeal here.